Short putts are between two feet and four feet long. There is no reason you can’t sink them at professional rates. Here are four ideas on how to meet that standard. 1. Practice them. Hit putts from two to four feet over and over again. You can do this at home every day on a carpet. Hit ten putts or so. That will take you two minutes, tops. Put your putter down, come back a half hour later, and hit ten more. Repeat every half hour. This is the “little and often” method that is used so effectively in foreign language learning. Do a little bit, but repeat it often. 2. Putt at an object. Do you have a water bottle that is about four inches in diameter? You can get one at an outdoor store. 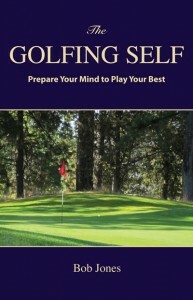 In my first book, Better Recreational Golf, I suggested that you putt at a positive object rather than a negative hole. Putt to hit the water bottle. It is so easy you just can’t miss. You’re training your mind to see a bottle rather than a hole. When you play, hit the ball against the imaginary bottle, and the ball goes in the hole, simple as that. 3. Start the putter back slowly, gradually. 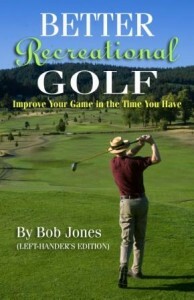 By starting the stroke very slowly you keep the putter under control. The face stays square, the putter goes straight back and naturally comes straight through. There’s no need to rush your short putting stroke. On the other hand, don’t be deliberate. The entire stroke doesn’t need to be slow, just the start. 4. Take the putter straight back and bring it straight through. This keeps the putter’s face square at all times. 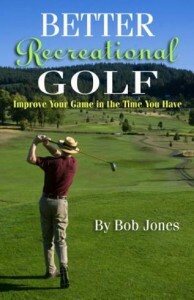 The short putting stroke is short enough that you can do that without having to manipulate the club.